The *Hyatt Ziva Los Cabos* is situated on a beautiful golden beach overlooking the sparkling blue waters of the Sea of Cortez! This optional all-inclusive resort is an oasis with tropical gardens and waterfalls plus a holistic spa that offers innovative treatments and massages with the finest organic products. Other on-site amenities include bars, restaurants, live entertainment, a gym, playground, hot tub, swimming pool, and tennis. 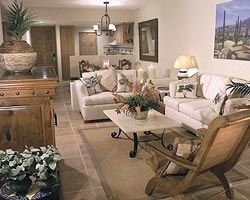 Guests can also take advantage of nearby activities such as fishing and water-skiing. 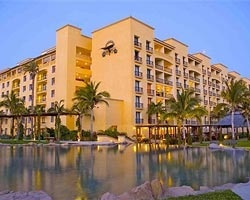 Lovely resort located on the beach overlooking the Sea of Cortez! Perfect spot for fun and relaxation! 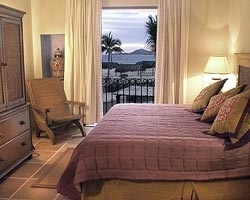 Enjoy this gorgeous resort overlooking the Sea of Cortez! Buyer receives complimentary closing credit, inquire for details. Rare resale - ocean view unit in gorgeous San Jose del Cabo! Price is negotiable. Beautiful executive suite available in platinum season! RTU in perpetuity! Buyer May Receive A Title Fee Credit, Inquire For Details! Enjoy an annual floating week in Mexico! RTU until 2037! Buyer May Receive A Title Fee Credit, Inquire For Details! Price negotiable. Floating week in exotic San Jose del Cabo! RTU in perpetuity! 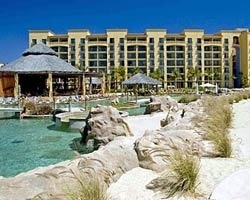 Amazing all-inclusive resort perfect for the whole family! Enjoy a beautiful golden beach overlooking the Sea of Cortez! Make an offer today!